Like a well-trained puppy, the NV (Envy) keeps coming back. It always has your back through ease of use, stability, and general responsiveness. Best part? You don’t even have to teach it tricks. Notable changes for the most recent rendition of this classic kite are an entirely new profile, revamped airframe geometries, and the new moniker. With a few changes in shape and line placement, the NV now enjoys even greater responsiveness, less backstall in light conditions, and quicker motion through the wind window. 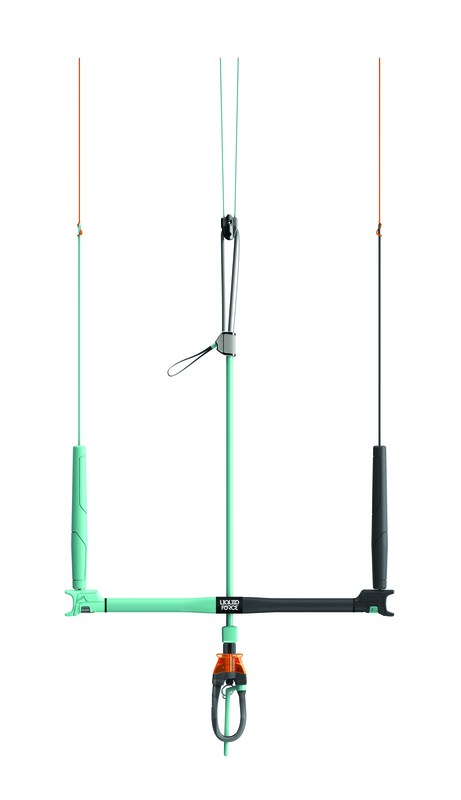 An updated bridle layout removes canopy distortion and gives the kite a more stable set of connection points. If you need an easy-to-use, stable freeride kite for most any situation, the NV is for you. Departures from the norm and outside of the box thinking are what bring strides in next generation product development. The challenge with this philosophy of thinking and development is to retain all the special characteristics that 7 years of Envy development has achieved. We have reached a point where the Envy is one of the most user friendly, versatile, kites on the market. The 8th version of the Envy is now here. Not only does the NV have a new name moniker, but also utilizes a complete new profile and airframe geometries. The memo of the Mission is functionality, pure and simple. LF took the liberty of reexamining each aspect of the control bar in order to obtain the highest standards not only in quality, but safety and performance as well. Having undergone extensive testing in both the lab and the field, Liquid Force is proud to announce this new bar. With a minimalistic shape for enhanced functionality, the bar uses a molded technology to reduce weight and add strength. As a bonus feature, it can be converted to the 5th line system with an adjustment kit.